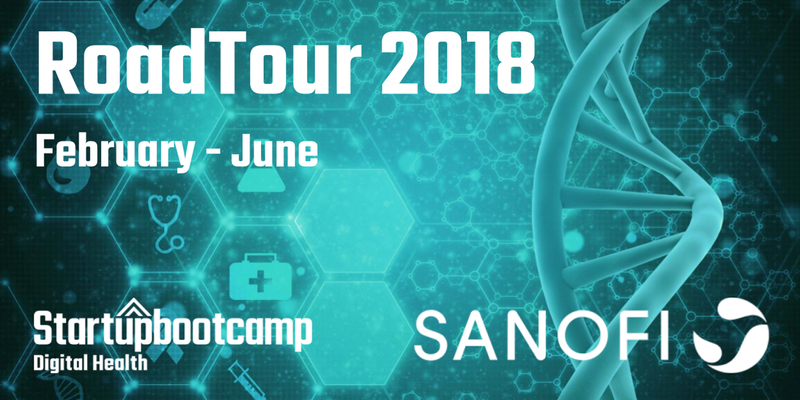 Startupbootcamp Digital Health Berlin invites you to apply for our Berlin FastTrack in association with our partner Sanofi in Germany on 25 April 2018. A FastTrack is mini Startupbootcamp experience. The goal of this event is to offer startups the opportunity to present their ideas to experienced industry experts and get valuable feedback and advice on their ideas. You also get a chance to know more about Startupbootcamp Digital Health, Berlin, and how can you benefit from it. Our experts are experienced mentors and investors who love to connect with startups and share valuable industry insights. We invite all startups, who are working in Digital Health space, to apply. If you would like to connect with like-minded entrepreneurs in your city, get expert advice and feedback on your business idea, and get experience of the unique accelerator energy, this is an event for you. To us, Digital Health is the convergence of medical knowledge with technology. Digital health improves our health and makes it possible for us to live better through personalized and precise solutions, while improving access to healthcare delivery and increasing the level of health services. 6) Team – Who is the team? What is their background?! Feel free to reach out to us over email at healthberlin@startupbootcamp.org, in case of any other queries too. PS We are also open for applications to the accelerator until 22 June for our 2018 Program. Apply here TODAY! Startupbootcamp Digital Health Berlin is a global accelerator focused on seed stage & early stage Digital Health startups. It provides 10 outstanding teams with hands-on guidance and mentorship from health industry network, corporates and investors that saves the selected startups up to one year in development time. With support of the strong local corporate partners Vilua (Arvato CRM), Deutsche Apotheker -und Ärtzbank (apoBank), Munich RE, Sanofi, Berlin Institute of Health and Dentons as a legal partner in Germany, the accelerator creates a unique ecosystem to foster the economic growth of the selected teams. Teams also receive €15.000 cash to cover living expenses, €450k in partner deals and 3 months free coworking space in the center of Berlin.